Why cars needs Wi-Fi hotspots? The Internet is everywhere. We are always connected with our gadgets so that we can chat, call, share, read, work, play, and for everything else. But cars can’t be connected by wire. I can say everyone has Wi-Fi at home and at the office. And we get Wi-Fi in a cafes and gyms. Why do we use Wi-Fi instead of our LTE or 3G connectivity on our smartphones? It is cheaper. Yesterday it was also faster, but today, with LTE speeds, it is only cheaper. Usual Wi-Fi has wired connection to internet — it is cheap and unlimited. But cars can’t be connected by wire. So if we speak about car Wi-Fi — it uses the 3G or LTE mobile network and has same pricing for data as our smartphone. Car drivers. You use Wi-Fi when you drive your car. If you have kids of any age, you know why your car needs Wi-Fi. YouTube, messengers, Facebook, online games and so on. Kids are happy when they have things to do — parents can drive their cars safe as their kids feel at home with a good Wi-Fi connection for all their gadgets (tablets, PSPs, smartphones and so on). First of all, in car Wi-Fi would provide a much better internet connection. Adults use their driving time to reply to emails, or check Facebook updates. But they have their own connectivity on their smartphones. Then why would Wi-Fi make sense for them? First of all, in car Wi-Fi would provide a much better internet connection. Cars travel quickly and mobile network connectivity changes every second. Car Wi-Fi hotspots use special strategically placed antennas. Therefore, car Wi-Fi hotspots can provide much faster and more stable internet for all passengers. Especially on highways, where mobile operator coverage is not stable and regular smartphones with built-in small antennas lose signal, or their signal too weak to use the internet comfortably. A special word for a business passengers who use personal drivers. What about Wi-Fi only devices? Laptops, tablets, wearables — with car Wi-Fi all these gadgets can be easily used by passengers while driving. Also, Wi-Fi can save battery life. With a Wi-Fi connection, a smartphone or other gadget save its power for connectivity and works for longer. A special word for a business passengers who use personal drivers. Wi-Fi should be a mandatory option. For business passenger’s their car is always an office on wheels. As mentioned above, it offers a better internet connection. With car Wi-Fi, drivers will not have internet connection interruptions when on a phone call. It is also important when using online navigation, such as Google Maps or Waze, while driving. Taxis and rental cars — Wi-Fi hotspots have a very important here. Special topic — car Wi-Fi hotspot for tourists. If we speak about the travel market — Wi-Fi today is the most important service for tourists. They don’t want to pay abnormal bills for mobile internet roaming services and are always looking for available Wi-Fi. The best scenario is when car manufacturers pre-install hotspots into their cars on the production line. This means the device will have good external antennas for good connectivity and its power management will be integrated into the car. Built-in Wi-Fi hotspots are usually controlled from dedicated mobile applications or using the car’s multimedia touch screen. Today several car manufacturers use pre-installed SIM-cards that you can’t replace. This is a problem when you want to change your hotspot’s network service provider. Sometimes even built-in SIM cards have fixed data plans that you can’t change. For example — Audi Connect for the USA market, with T-Mobile SIM cards and data plans that you can’t change, for 30$ a month. Sounds terrible! 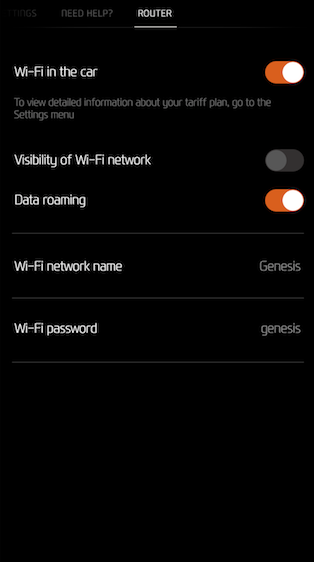 Others allow you to place your own SIM card into the built-in Wi-Fi hotspot. At a minimum it is good to have the flexibility of changing the data plan if the SIM card can’t be replaced. Latest technologies also offer to use the driver’s smartphone instead of its SIM card to share the internet connection through the car’s Wi-Fi hotspot. Simple and available from mobile operators in different countries — Huawei CarFi. This is a simple LTE router that connects to the car’s cigarette lighter. Plus, it will charge your gadgets through its USB port. The basic problem with Huawei CarFi is — this device don’t know when you start or stop your car. So hotspot does not automatically manage its power (turn on when you start the car and turn off when car is switched off). With Huawei CarFi you have to manually turn it on every time you get in the car. This can become an issue when you drive your car many times a day. The OBD port has been available on every car since 1996. Usually this port is located under your steering wheel. The OBD port provides a power supply to hotspot devices and it can inform the device of the car’s status. So the OBD Wi-Fi device can manage its power mode based on car status. That means the OBD Wi-Fi hotspot would be very well integrated with the car and the Wi-Fi function would be seamlessly used with the car. Sounds great. Today most OBD Wi-Fi hotspot products on the market also have built-in GPS and G-sensors and other features. This will enable the creation of different basic hotspot features of the device. 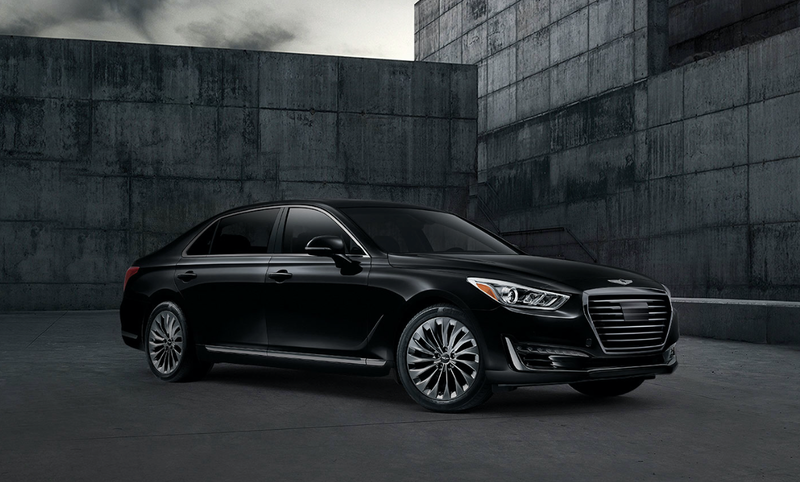 Bright Box as a Connected Car solution supplier company delivers built-in car Wi-Fi hotspots for one of its customers — Genesis.The “Genesis Connect” system will become yet another advantage for Genesis G90 owners by making car maintenance easy and convenient. 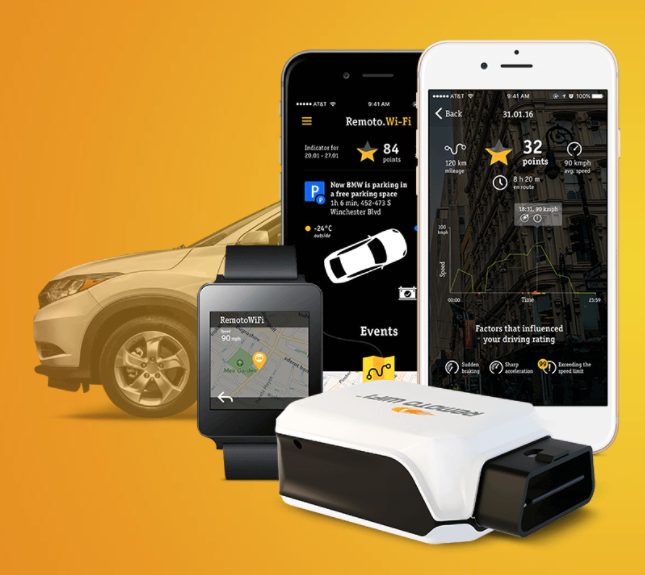 The product was developed specifically for the new brand and allows users to open/close the central lock, start/stop the engine, check the status of doors, open the trunk, monitor the car’s speed, get internal and external temperature readings, activate the horn — all from within an app installed on their smartphone. 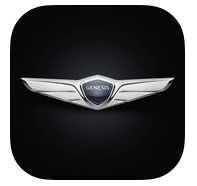 Apart from this, Genesis G90 owners will soon enjoy remote car diagnostics capabilities. Apart from this, owners of the new model will be able to enjoy the Remoto Wi-Fi integrated solution for wireless Internet access. Bright Box also has an aftermarket product in the OBD form — factor with mobile applications providing useful services to drivers including cloud music services, remote diagnostics, punch notifications and others. This solution is usually demanded by mobile operators — 99% of the cars on the roads does not yet have Wi-Fi on the board. Therefore, it is huge market opportunity for mobile operators worldwide.